On January 1st 2012, the HSE will broadcast three short films that expose the sad reality of losing a loved one to a tobacco related disease. Produced as part of the HSE’s QUIT campaign, these films feature real people’s stories which focus on one key fact – that 1 in every 2 smokers will die of a tobacco related disease. The broadcast of these short films on New Year’s Day is designed to connect with smokers on the one critical day in the year when many of them will consider quitting. It is also envisaged that the stories told in the films will help family and friends of smokers to encourage their loved ones to quit. The 3 minute films will be broadcast on the evening of New Year’s Day on RTÉ at 8.45pm during Fair City and at 9.28pm after the 9 O’Clock News, on TV3 at 7.45pm during Family Fortunes and on Universal during Harry’s Law at 9.45pm. They will also be available to view at www.hse.ie, www.quit.ie and at the You Can QUIT facebook page www.facebook.com/HSEquit. The HSE will also use Facebook and Twitter to remind viewers to tune in to the films on TV and the internet. The QUIT short films tell three different real life stories but focus on one harsh fact; that 1 in every 2 smokers will die of a tobacco related disease. Results to date for the QUIT campaign show that the 1 in every 2 statistic has hit home with smokers in Ireland, with many choosing to get help and support for their Quit attempt online and in person. Over 6,500 people have signed up for online QUITplans since the campaign started in June, nearly double that of the same period in 2010. Visits to www.QUIT.ie have increased by over 60% to 58,800 since June and calls to the National Smokers’ Quitline 1850 201 203 – which is run by the Irish Cancer Society, a key partner in this campaign – and referrals to our Smoking Cessation Clinics also increased by 50% compared to last year. The HSE’s You Can QUIT Facebook page was created for this campaign, and has over 14,500 Likes to date, with many of them choosing to share their experiences and seek support from each other. www.facebook.com/HSEquit. Smoking is the single biggest cause of illness, disability and death in Ireland. There are about 1 million smokers in Ireland and, each year, 5,500 Irish people die of a tobacco related disease. Many thousands more lives are shattered by the illness, disability and bereavement that cigarettes cause. 70% of smokers say they want to quit and 40% try to quit every year. Most people quit successfully after a few attempts, and while many go it alone on will power, those quitters who use supports like our National Smokers’ Quitline, online help, smoking cessation services or medications are twice as likely to succeed. Only 7% of people know that 1 in every 2 smokers will die of a tobacco related disease. Our aim in this campaign is to make people realise the effect smoking has on their health, and their loved ones, and give them encouragement and help to QUIT. Recent Irish data shows an average cost of €7,700 every time a smoker is admitted to hospital with a tobacco related disease. In 2008, there were over 36,000 such admissions. That cost does not include out-patient costs, GP visits, medicines and other supports provided by the HSE. If we can prevent just 100 of the 36,000 annual admissions to hospital with tobacco related disease, this campaign will pay for itself. Evidence from around the world shows that campaigns like this have an important role in reducing smoking rates over their lifetimes. We also know that the tobacco control campaigns which work best are the ones which take a hard-hitting tone, warning of the dangers of smoking – why to quit – and then offer a range of supports to help people to try to stop – how to quit. The evidence base for this campaign message comes from a study which is often called “The Doctors Study” (Doll R, Peto R, Wheatley K, Gray R, Sutherland I. Mortality in relation to smoking: 40 years observations on male British doctors. British Medical Journal 1994; 309:901-911). This study started in 1951 in the UK, had a 40 year follow-up, and was finally published in 1994. It found that we had substantially underestimated the hazards of long term tobacco use. 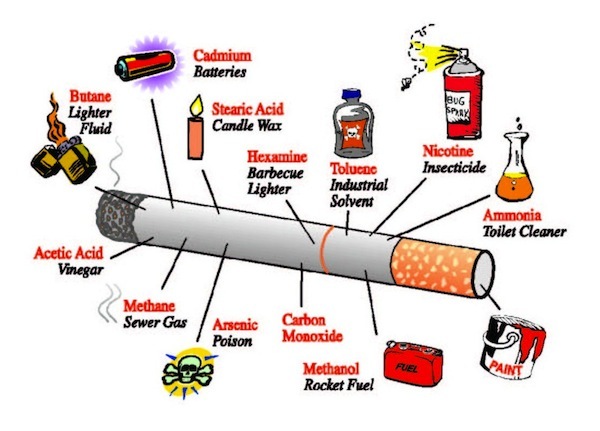 It showed that half of all regular cigarette smokers will eventually be killed by their habit. A further study 10 years later on the same study participants confirmed the findings. In fact, it suggested that the situation might be worse, in that up to two thirds of smokers could be killed by their smoking (Doll R, Peto Boreham J, Sutherland I. Mortality in relation to smoking: 50 years observations on male British doctors. British Medical Journal 2004;328(7455):1519).